● machine by hot air rework station and integrated welding units constitute a multi-functional integrated maintenance system rework. ● machine is controlled by a single-chip microcomputer core unified, and to ensure that hot air soldering station temperature accuracy and stability, not simply merge the two devices. ● perfect combo combination, compact body, durable, beautiful, small area occupied table. ● clear digital display temperature and working conditions, key switch, easy and intuitive. ● NC button continuously adjustable air temperature and the temperature soldering station desoldering meet different needs. 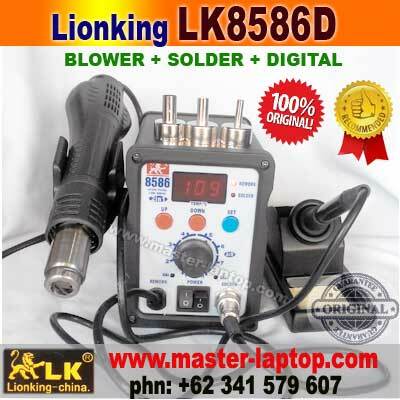 ● hot air gun power, rapid heating, the wind gentle, air volume, very suitable for lead-free rework operations. ● Soldering Station heating element uses low-voltage power supply, can effectively protect sensitive components and staff safety.